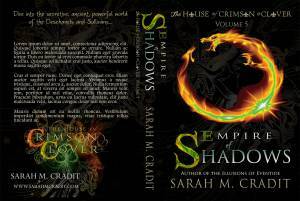 Here is the cover reveal for the upcoming book Empire of Shadows that will be available this spring. Sarah Cradit is one of my favorite authors. She has written some amazing books centered on two families in New Orleans – The Sullivans and the Deschanels. Follow along as Sarah masterfully weaves a tale of Oz, Nicholas, Adrienne, Anne, Amelia, Finn and Colleen and so many others. Not only is she an amazing weaver of tales, but she is also a high quality author who loves to connect with her readers. I first read St. Charles at Dusk – a lagniappe in the House of Crimson & Clover series. I was hooked from the first chapter and could hardly wait for the next book. Thanks for the reblog Teri! You’re welcome – great series!